For many visitors to the Grand Traverse area, the ideal vacation is all about the simple things. Clean, fresh air. The pine-scented woods. And nature just outside your door. Which is precisely what draws people to Shoestring Resort & Motel. 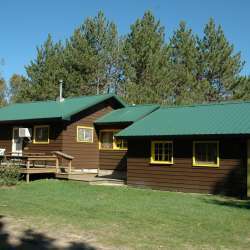 Located a few miles south of Traverse City, near Arbutus Lake, Shoestring Resort is nestled in the woods and close to all that the area has to offer. The resort has 20 homes and cottages available in 1-, 2- and 3-bedroom configurations. 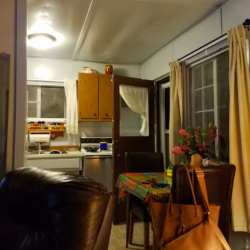 Every unit is clean and well furnished and includes a full kitchen with all the essentials. Outside, guests can barbecue on their own grills and enjoy a crackling campfire underneath star-filled skies. The resort is a popular retreat for families, especially those holding larger events, like family reunions. Couples also come to enjoy the secluded surroundings.